Dinesh Karthik's place in the World Cup 2019 squad sidelined Rishabh Pant. 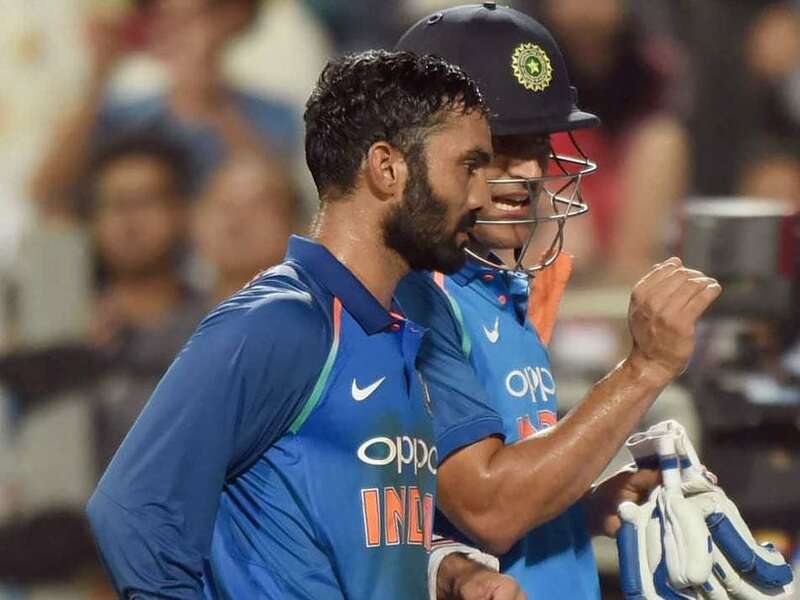 Dinesh Karthik earned his slot as the second wicket-keeper after MS Dhoni for India in the World Cup 2019 due to his experience and wicket-keeping skills, which also sidelined young Rishabh Pant. Whether Karthik will make his maiden appearance in a World Cup match depends on MS Dhoni's fitness. But former India skipper Sunil Gavaskar believes Dinesh Karthik's wicket-keeping skills will come handy "on a morning when say, MS Dhoni has a flu and can't play". "On a morning when say, MSD (Mahendra Singh Dhoni) has a flu and can't play, you want somebody who is a better wicket-keeper. I think Karthik's wicket-keeping skills, more than anything, have won him this place," Gavaskar said. Though Gavaskar was surprised at young stumper Pant's exclusion from the squad. "A bit surprised, looking at his (Pant's) form. He was batting exceptionally well, not only in the IPL but before that also. He was showing great improvement his wicket-keeping as well. He brings that left-handed option in the top-six which is very handy against the bowlers," Gavaskar said. "The bowlers have to change their line (for a left-hander) and the captains have to do a lot of field arrangements," he opined. Gavaskar also said that Tamil Nadu all-rounder Vijay Shankar will be a valuable asset for the team.